One of the more entertaining subplots in this otherwise dreary campaign season has been watching Scott Brown pass himself off as a New Hampshirite in his run for the Senate from that state, just two years after he ran for reelection to the Senate from Massachusetts. This should not, in and of itself, have been an impossible task—Brown does have some ties to the Granite State, and plenty other New Hampshire residents are transplants to the state. But Brown has kept stumbling. For one thing, he has on several occasions seemed to forget in which state he is running. But never has Brown so betrayed his unfamiliarity with the state he is seeking to represent in Washington as much he did in his final debate Thursday night against incumbent Jeanne Shaheen. Republicans are brazenly trying to spin away what happened, but make no mistake: this was a telling moment. Any longtime New Hampshirite watching this would have realized instantly the mistake Brown was making. He seemed to be under the impression that Sullivan is one of the counties “up north”—North Country counties like Coos and Carroll that do indeed rely heavily on tourism and the ski industry. But Sullivan is not “up north.” It’s very much in the lower tier of the state, with only one county to its south. 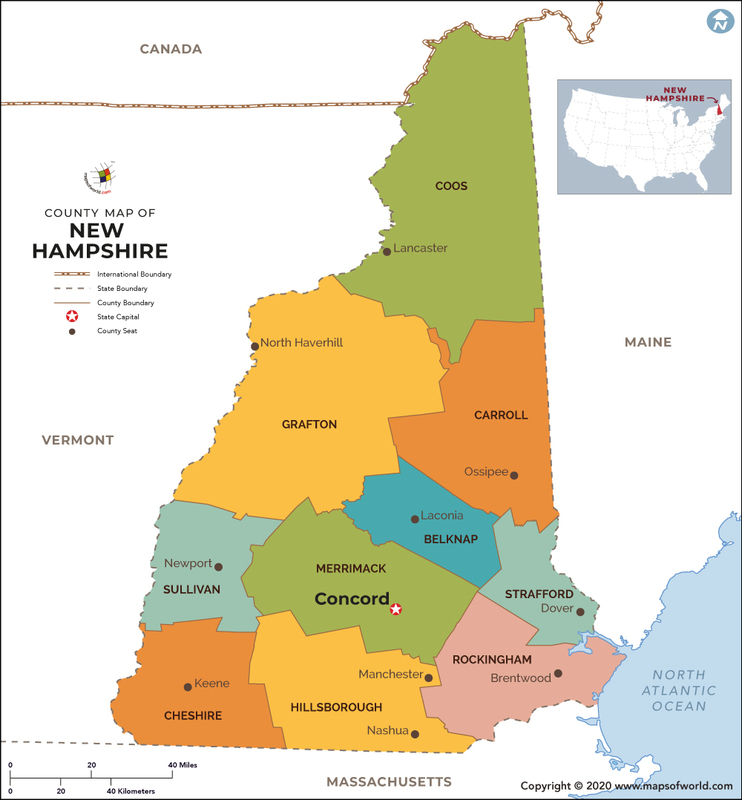 And while it is home to some great skiing at Mount Sunapee—which advertises itself as “a four season recreation area located in Southern New Hampshire,” and where I myself skied when I lived in Concord—it’s not particularly tourism-oriented. Rather, it’s a county of struggling former manufacturing towns such as Claremont, a town that acquired notoriety in the state as the home of the plaintiffs in a long-running case over the state’s shortchanging of school funding for poorer communities. This is precisely why Pindell was asking the candidates about Sullivan, because it’s a place still searching for a way forward economically. Brown’s answer—talking about “trails for snowmobiles” “up north”—was a giant whiff. “I’m talking about any place past Concord,” said Brown, referring to the state capital, which is also in the lower tier of the state, east of Sullivan County. Shaheen proceeded to answer the question with specifics that showed that she knew where Sullivan County is—after all, she used to be the governor of the state. She mentioned Claremont and River Valley Community College and the New Markets tax credits that have been used to spur development in the county. Inexplicably, though, she did not draw explicit attention to Brown’s whiff—that’s apparently not in the playbook for the always-cautious Shaheen, but it would have been a highlight-reel, stake-in-the-heart moment had she seized it. This allowed the Brown campaign to try and spin the moment away after the debate, with an assist from Pindell. Looking like a man who had just gotten an earful from a campaign manager, Pindell apologized for having corrected Brown: "I said that Sullivan County was west of Concord, not north of Concord. The truth is, it's both. So on this point, Scott Brown was right, I was wrong, and I apologize to Scott Brown, and to both campaigns." You’re being too hard on yourself, James. Sullivan County is both “north and west” of Concord about as much as Illinois is “north and west” of New York City. But the real issue here isn’t latitude and longitude—it’s whether Brown has any real sense of the state he is seeking to represent in Washington. Answering a question about the needs of the people in towns like Claremont with a riff about tourism “up north” told New Hampshire voters everything they need to know in that regard. If you’re going to be a carpetbagger, it helps to at least do your homework.